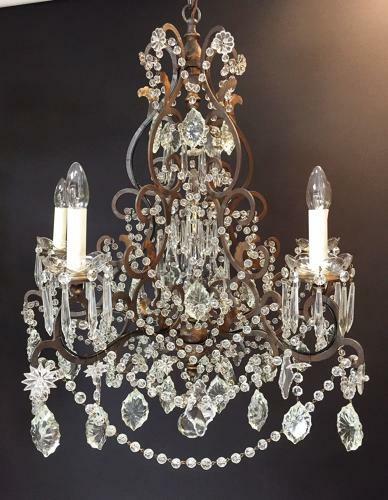 An Italian 18th century, Rococo style frame, with flat acanathus painted decoration, the frame hung with bead work and unusual hand cut lozenges, icicle drops and florrettes of varying sizes, the five candle sconces with glass dishes and icicle drops attached. five arms of light. Circa 1860. Complete with ceiling dome.